How is the outliner for handling phone calls. Music not super important for me. But I do alot of calls and so far most wireless seem to be either too soft, muffled or keeps getting disconnected. Just bought this. Not bad. Another air pods alternative. I dunno y anker dun put their earbud products in their home page. Cant find liberty or zolo or this. I saw Jabra released the evolve 65T. Looks like elite 65T though. Is same stuff as elite 65t but u get the UC dongle. U using for pc communication meh? U have to stick in yr ear to try. Holding in yr finger to tap do not produce same effect. Jabra elite 65t offer. Anyone interested to hoot? 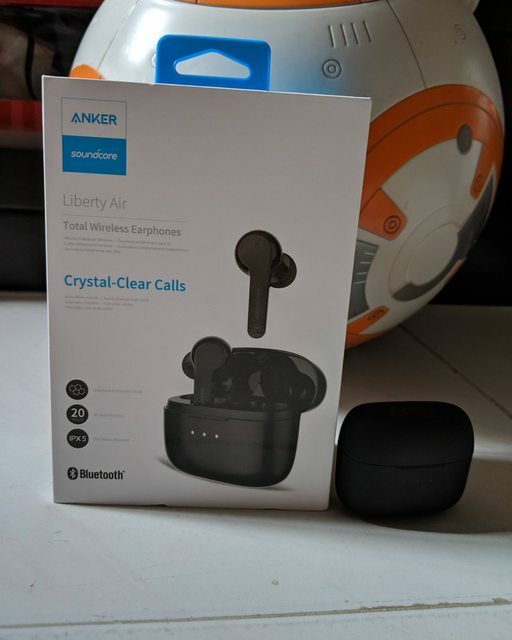 Just hoot the Anker Sound core Liberty Air from Lazada. My first pair of wireless buds. Was using platronics back beats go 2 but got super irritated by the bad battery life and the wire which kept getting caught when I shift my backpack. Only a couple of days old but it sounds better to my ears, even sounds more bassy. Recommend you give it a try if you are on a budget. anyone ordered ZNT from lazada? Imo, lows to highs is more impt than bass.